As each year passes, more and more millennials join the workforce. According to research by the Association for Talent Development (ATD), one million millennials enter the workforce each year. In fact, millennials officially became the most significant share of the U.S. workforce at 34% in 2015. By 2020, 40% of the workforce will consist of millennials, and by 2025, the percentage will reach 75%. With this new representation of the workforce, many have said that millennials are ushering in a New Age of Work. Because of the unique social and economic pressures on millennials, the once followed “blueprint” for success and happiness is no longer valid. For example, when working at a job that isn’t liked, the motto Generation X held was “keep your head down’ and “climb the ladder.” However, a study by LinkedIn found that millennials typically change jobs four times by the age of 32. This transformation in the workforce has led to change in the cultural landscape. How millennials think about their work environment and what they expect from their organization is drastically different from that of the previous generation. Career progression has evolved into being more about developing a well-rounded career experience rather than about proving allegiance and loyalty to a company. Just as the baby boomers did when they entered the workforce, millennials are resisting outdated social notions in favor of progressive and innovative approaches. Ambition and loyalty are still strong characteristics of millennials, although this new workforce refuses to reach success at the expense of family or social life. A majority of millennials (66%) believe that their lives outside of work are more important to their identities than their careers, while 23% think that they are both equally important. 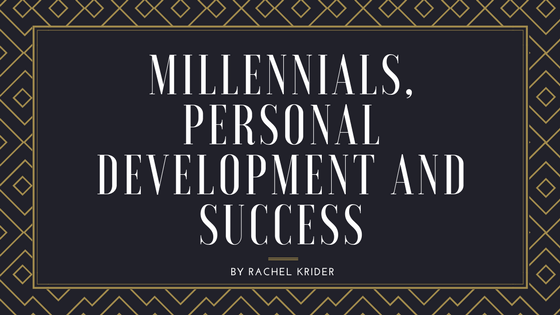 When searching for a career, many millennials look for organizations that allow for a work-life balance, achievement of personal goals, and development of new skills; the apparent reason for these desired characteristics is simply personal development. Ultimately, millennials want to be set-up for long-term success, and they expect organizations to grow their skill sets and invest in their development. Consistency = Growth: Utilize discipline and consistency as a foundational practice for when life throws a curveball. Mentally Invest In Yourself: Allow setbacks and have patience with the anticipated benefits. Trust the Process: Spend less time planning the outcome and more time focusing on the process of reaching personal and professional development.